Ask yourself this: what drives people’s voting in the TV age? Is it experience? “Preparation”? A government program? Ideology? It’s none of these things: in a media-saturated age, voting is driven by primal identification. A generation ago, before media saturation had reached the extreme levels we see these days, voting was mediated by formal party structures built on long-standing allegiances. An adeco was an adeco hasta que se muera. Party identifications were passed down within the family from one generation to the next. The rise of ubiquitous media, and the collapse of party affiliations, has dissolved these easy certainties. Today, the mediating structure between candidate and voter is no longer the political party, it’s the TV camera. And the sense of intimacy TV creates sets up a whole series of new challenges for candidates, challenges that are more psychosocial than political. In this reconfigured arena, a candidate needs to stir voters’ primal identifications to compete. He needs to give people the sense – on some pre-rational, pre-verbal, entirely emotional, gut level – that he gets it, that he is like them, that they can feel comfortable with him because he understands them, and that he understands them because he has been through the same experiences they have been through. 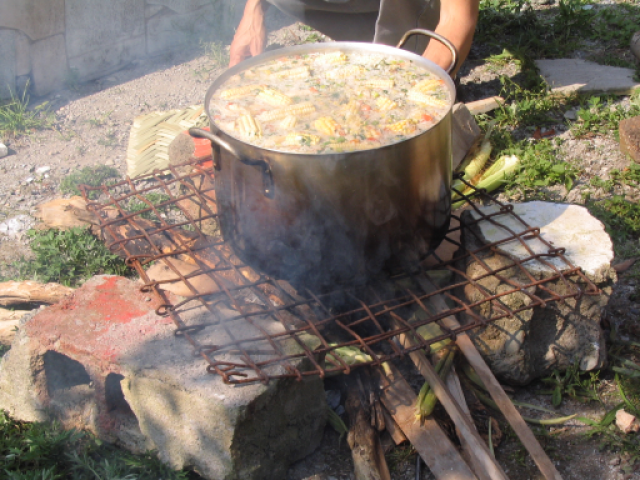 One way to think about this ability to connect on a pre-rational, non-political level is the Sancocho Test. 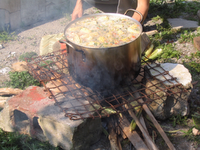 (OK, in the US, it’s the Barbeque Test – but lets Venezuelanize it.) Gringo pollsters have taken to asking voters which candidate they would rather invite to a barbeque. Or which candidate they would rather drink a beer with. In one variant, they ask which candidate they would prefer to sit next to on a long flight. These are powerful questions because they get straight to primal identification issues. They drive at the entirely apolitical sense of emotional comfort with the candidate that drives voting decisions in a media-saturated age. They explain why a barely literate recovering alcoholic and failed oil-man could beat two of the smartest, best prepared democratic pols in a generation: too many gringos couldn’t begin to imagine themselves chatting with Al Gore over a burger or hanging out, beer in hand, with John Kerry. Now, who do you think the average guy trying to sustain a family on one minimum wage and one misión scholarship in Acarigua, or Maturín, or La Vega would rather eat a sancocho with ? Petkoff, Borges, Rosales or Er Conde del Guacharo? It’s simply not a contest.